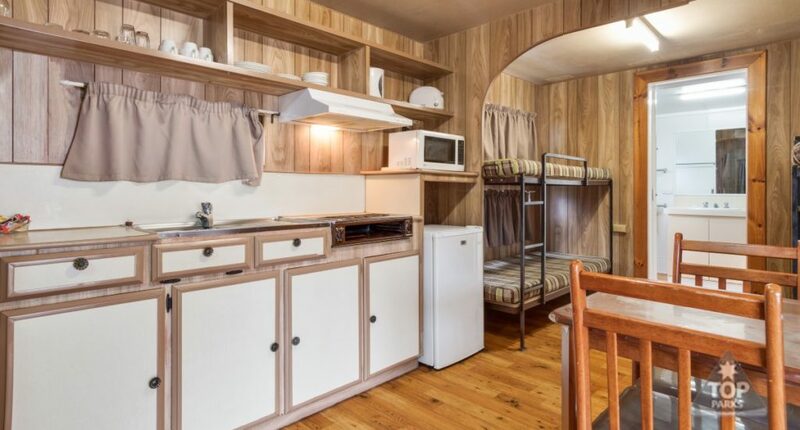 This is an open plan room for sleeping and living with allotted ensuite. 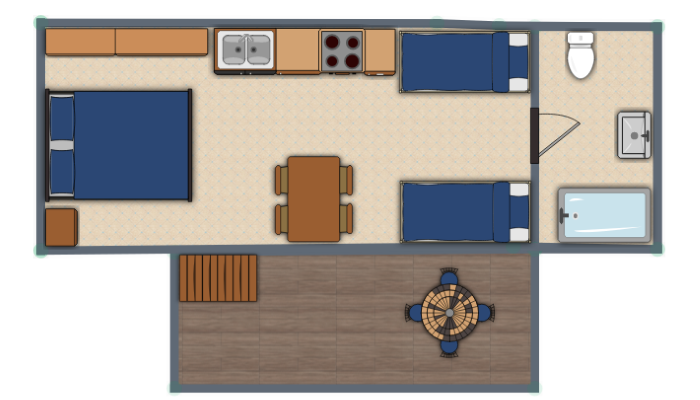 It also has a double bed and two sets of bunks. 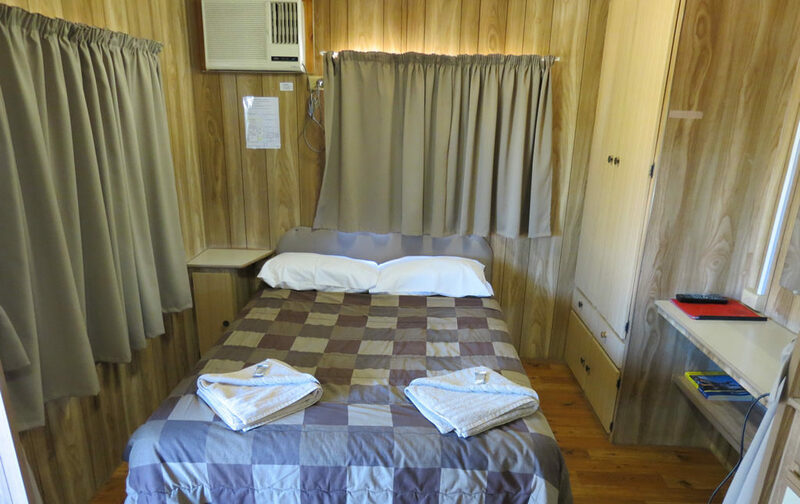 The double bed is made up with linen and towels for two people. 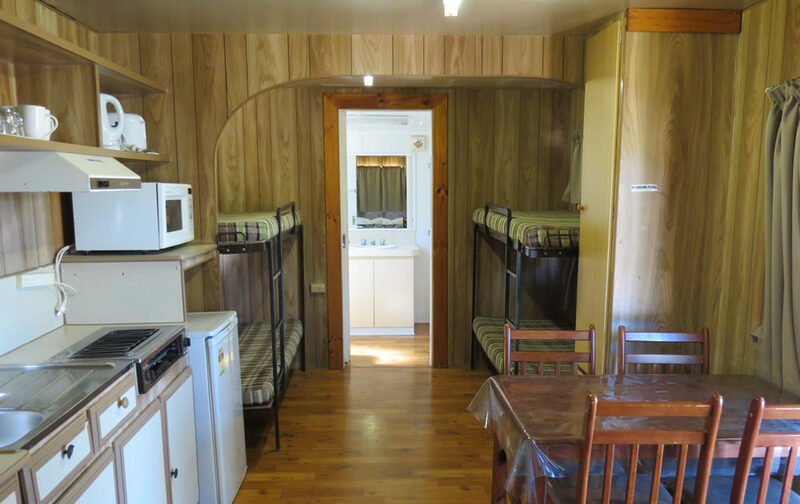 Linen can be hired for the bunks for $10.00 per set for as long as you stay. 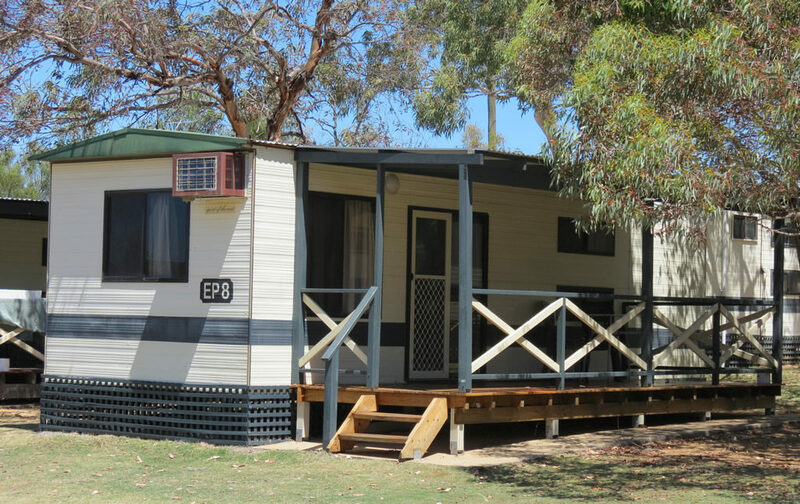 The cabin is equipped with crockery, cutlery, fridge, hotplate, microwave, toaster, kettle, TV and air/con. Outside is a shaded area for sitting. – Rates are based on 2 people per site. 2019 Additional $20 per extra adult (16+), with prior management approval.